Some photos below courtesy of Clive Porter. Thank you to all contributors. A pub in Reed on a Saturday night. What’s not to like? 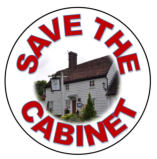 Our popular Pop-up Pub nights help raise money for the Save the Cabinet Fighting Fund which helped us defend the planning appeal and will continue to help us during the next stages of the campaign. 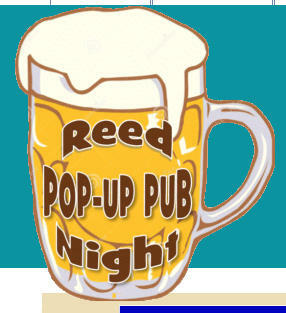 Reed Village Hall is transformed into a pub for the evening. You can enjoy a drink, something to eat - and great company. 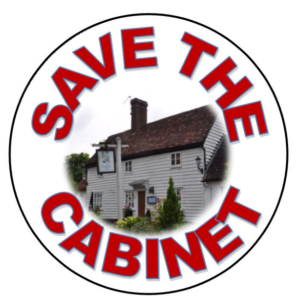 The New Year’s Eve pop-up pub night raised a fantastic £1,175 for the Save the Cabinet Fighting Fund. The April 2019 event raised over £800. Thank you for the fantastic support! 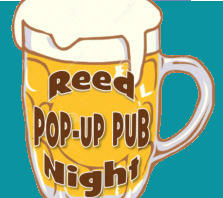 A pub in Reed on a Saturday night.